Qualifications: PhD RN. RM. IBCLC. She has graduated with the Diploma of Nursing; Bachelor of Nursing; Graduate Diploma of Advanced Nursing - Midwifery. Jenni is a Senior Lecturer in Midwifery and Breastfeeding & Human Lactation at Melbourne’s RMIT University and graduated with her PhD from Victoria University in 2003 and works clinically in provate practice and as a midwife. Her background includes working as a researcher for LaTrobe University, has worked as CNC Lactation at the RWH in Melbourne, an Educator with Deakin University, ACU and Swinburne TAFE division. Jenni is a member of LCANZ and Convenor of the Transnational conference for 2012. Jenni is also a mother of six children aged 16 to 35 years and has been an ABA counsellor for over 25 years. 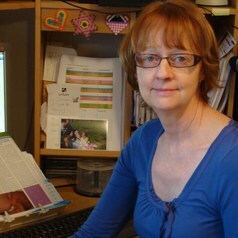 Jennifer has worked with mothers and breastfed babies for many years, as a counsellor, midwife and lactation consultant. Her philosophy of care is based on empowerment, advocacy and evidenced based practice.